TP Link N450 Wireless WiFi Router is currently selling at $26.98, approximately $0.40 lower than average, giving a potential saving of $3.01 right now. With a lowest price of $24.98 and an average of $27.38 it is selling on the low end of its usual range. Price volatility is 0.74% (meaning it does not change often), so the price should stay low for a while. Right now this product is a recommended 'good deal'. 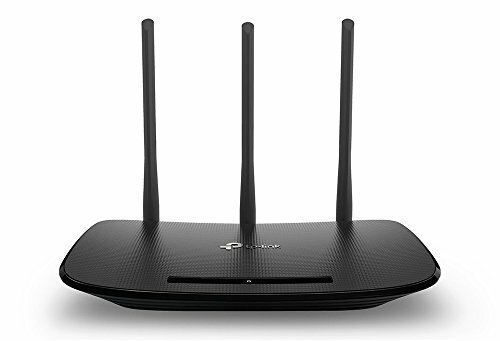 Compare the current price, savings (in dollars & percent) and Buy Ratings for the top WiFi Routers that are closely related to TP Link N450 Wireless WiFi Router. Here is how TP Link N450 Wireless WiFi Router compares with other leading WiFi Routers. 300Mbps Wireless N Router The TL-WR940N creates a wireless network with speed of up to 300Mbps and has 4 10/100M ports to support 4 wired devices. With three omni-directional FeaturesWireless N speed up to 450Mbps, ideal for bandwidth-intensive tasks like HD video streaming, VoIP, and online gaming. 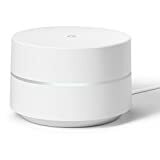 Not compatible with phoneline internet.802.11n technology, 15x faster with 5x the range of 802.11g, Three antennas for increased coverage and stability, System Requirements - Microsoft® Windows® 98SE, NT, 2000, XP, VistaTM or Windows 7, Windows8/ 8.1/10, MAC® OS, NetWare®, UNIX® or LinuxIP based bandwidth control allows you to determine how much bandwidth is allotted to each device, WPS button for one-touch wireless security encryptionParental Controls to manage Internet access on children's or employees's computers, Industry-leading 2-year warranty and unlimited 24/7 technical support.